Australia’s modern economy and society have created new demands for high levels of literacy and numeracy. Technological advancement and globalisation have decreased the availability of low skills jobs and increased the number of jobs that require high levels of information processing, digital and communication skills. 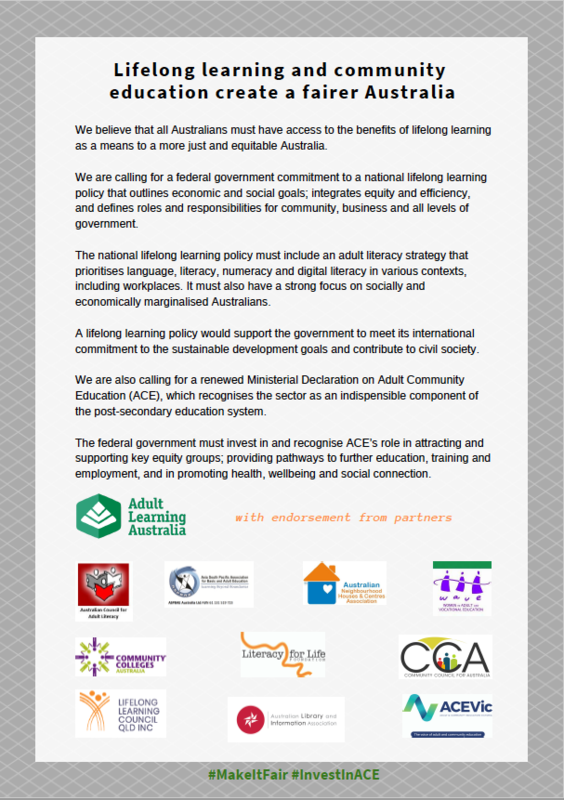 In the lead up to the federal election, Adult Learning Australia and its partners are calling for a national lifelong learning policy that includes an adult literacy strategy, in order to create a fairer and more equitable Australia.